Barbeque is one of the defining cuisines of Texas, and Dallas is a great destination for anyone interested in sampling some of the finest barbeque available. Expect to be spoiled for choice; the city offers everything from tiny hole-in-the-wall barbeque joints to upscale options that offer wonderful live music. The Dallas barbeque scene is overflowing with pitmasters who are dedicated to their craft, whether that be the perfect preparation of traditional family recipes or the creation of inspired gourmet masterpieces. 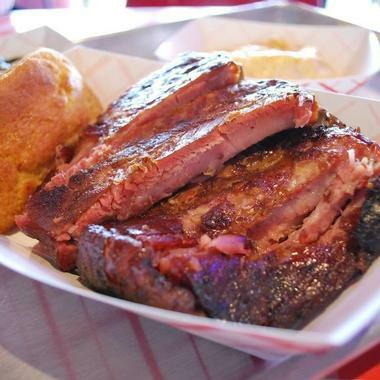 You won't have any trouble finding a great barbeque joint in this city, but here are the best! 18th & Vine is a great destination for anyone interested in getting a taste of authentic Kansas City-style barbeque. The smoked meats on offer include ribs, brisket, sausage, chicken, pulled pork, turkey, and a vegetarian cauliflower steak, but the menu also includes a variety of starters, soups, salads, sandwiches, and dinner entrees. Groups of three to four people can share a sampler of three different smoked meats, and you can also order family-size side dishes. Happy hour takes place every weekday between the hours of 3 p.m. and 6 p.m., and bottles of wine are sold for half price on Tuesdays. Cattleack Barbeque was born out of owner Todd David's lifelong passion for barbeque, and many people think it's the best-kept barbeque secret in Dallas. The meats on offer include brisket, pulled pork, turkey, ribs, and homemade sausages; all meats are prepared with Todd's Special Reserve BBQ sauce. The menu also includes sides, sandwiches, desserts, and non-alcoholic beverages. Cattleack is open from 10:30 a.m. until 2 p.m. on Thursdays, Fridays, and the first Saturday of every month. Visitors are advised to arrive as early as possible to ensure the best selection and to avoid the long lines that typically form. Open since 2010, Pecan Lodge is an award-winning barbeque eatery run by pitmaster Justin Fourton and his wife Diane. The restaurant is proud to prepare its food according to traditional family recipes, and the barbeque pit burns 24 hours a day. All the food served is made from scratch whenever possible, including the sausage, which is ground and stuffed in the restaurant. Other meats on the menu include pork ribs, brisket, pulled pork, and beef ribs. These are perfectly complemented by sides such as fried okra, macaroni and cheese, and cole slaw. Groups of four to five people can share the generous meat sampler. 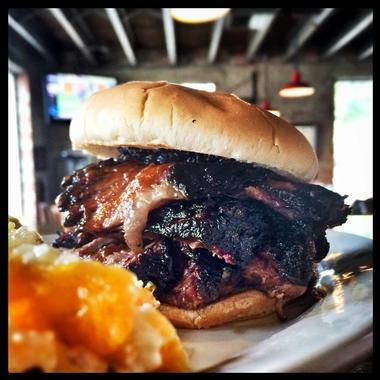 Located right at the base of the Margaret Hunt Hill Bridge in Trinity Groves, Babb Bros BBQ offers hickory-smoked meats and an authentically Southern atmosphere. The menu is composed of a good selection of meats, side dishes, and desserts; meats can be ordered in a sandwich or as part of a combo plate that comes with your choice of two sides and one to three meats. Babb's also offers a full-service cocktail bar, and the restaurant is proud to act as a venue for live blues music played by local musicians every Friday and Saturday night between 7 p.m. and 11 p.m. Specializing in Memphis-style barbeque, Baby Back Shak is a bare bones joint with amazing food. All the meats are prepared with a special blend of herbs, spices, and sauces; the recipe is a family secret that has been passed down for generations. 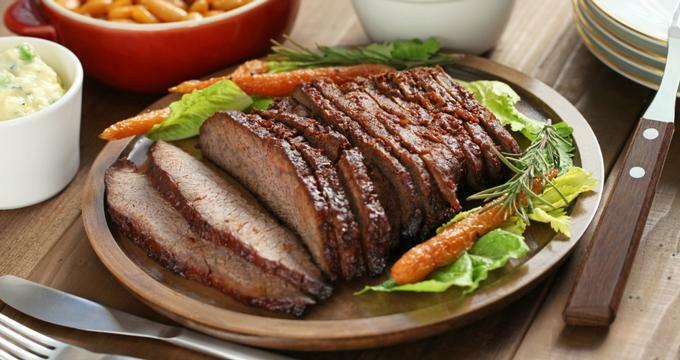 Meats can be ordered by the pound, as part of a combo plate, or in a sandwich, and a good number of side dishes and salads are also on the menu. Guests should note that Baby Back Shak closes at 5:45 p.m. from Monday through Thursday and at 6:45 on Fridays and Saturdays. 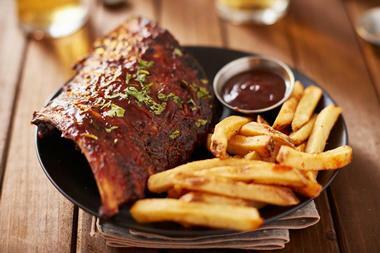 Established in 1988, Baker's Ribs now has six different locations in Dallas and the surrounding area. 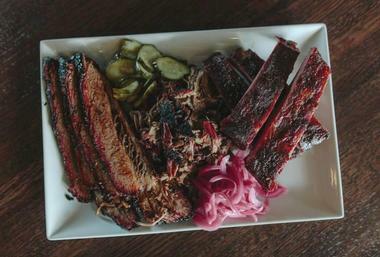 The restaurants serve meat that has been slow-cooked over hickory wood in a special barbeque pit designed by founder Joe Duncan, including brisket, ribs, pulled pork, chicken, and two different kinds of sausage. Some meats can be ordered as a sandwich, and the menu also offers a selection of side dishes, desserts, and family meal combos. The original downtown location boasts a rooftop deck with excellent views of the Dallas skyline, and live music is sometimes held here for guests to enjoy. 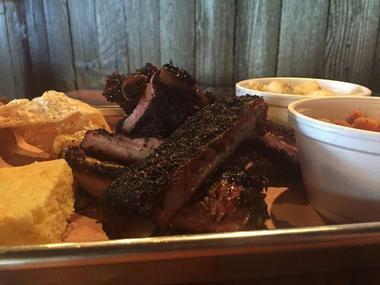 Bone Daddy's House of Smoke is best known for its mouth-watering food, but the restaurant is also heavily invested in the Dallas community, and it offers one of the most welcoming environments in the city. The menu is made up of authentic Texas smokehouse barbeque, including brown sugar ham, peppered turkey, and prime brisket. There is also a good selection of side dishes, deluxe sandwiches and burgers, salads, starters, and desserts. Bone Daddy's has a full bar and is proud to offer handcrafted cocktails made with moonshine; happy hour specials are offered every day between 2 p.m. and 7 p.m. Located in the Lancastor area, GatorPit BBQ offers melt-in-your-mouth barbeque at prices that won't break the bank. The menu includes a variety of side dishes and smoked meats that can be ordered either by the pound or as part of a dinner plate. The meats are also available in sandwiches and as an addition to the restaurant's customizable salads. One of the most popular dishes is the three meat baked potato, which comes with your choice of ribs, sausage, chopped beef, chicken, and sausage links. GatorPit also offers an excellent selection of delicious desserts, including pies, chess cakes, and cheesecakes. Family owned and operated, Hard Eight BBQ boasts friendly Texas-style service and a rustic, welcoming atmosphere. 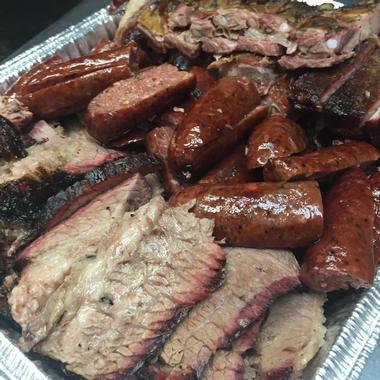 The wide meat selection includes brisket, turkey, and two types of sausage, and all meat is cooked in a pit over fresh mesquite wood. However, the restaurant offers more than just barbeque; other customer favorites include the prime rib and the 16 oz. hand cut ribeye with onions. The menu also features several types of poppers, kabobs, side dishes, and desserts. Hard Eight BBQ offers both indoor and outdoor seating, and live music is played on the patio every Friday and Saturday evening. J.D. 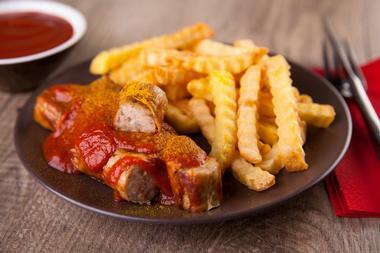 's BBQ & Grill is a family-friendly restaurant that offers healthy food at reasonable prices. Unlike most barbeque joints, J.D. 's doesn't smoke its meats. Instead, they shave the fat from the meats, prepare them in a way that allows them to retain their flavor and texture, and serve them with their special homemade BBQ sauce. The menu includes everything from baby back ribs to grilled salmon to barbeque burgers, and there are also several appetizers, sides, and salads for guests to choose from. Happy hour occurs every day between 3 p.m. and 7 p.m., and both food and drink specials are offered. Lakewood Smokehouse is a cozy neighborhood spot that serves up classic barbeque, delicious desserts, and craft beers. However, the menu also offers a diverse range of other food, including pizzas, salads, sandwiches, and tacos. 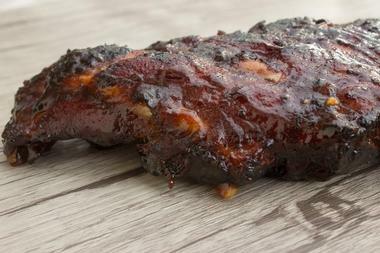 Barbequed meats include baby back ribs, pulled pork, turkey, burnt ends, and smoked chicken. There is also an excellent selection of sides, and family style dining is available for groups of four or more. The restaurant offers happy hour every weekday between 2 p.m. and 6 p.m., and specials are available on draft beers, glasses of wine, premium well liquor drinks, and select food items. Known for its delicious Central Texas-style food, Lockhart Smokehouse BBQ is a casual counter-serve barbeque joint that serves meat fresh off the smoker. The meats on offer include different variations of beef, chicken and turkey, pork, and sausage, and diners can also choose from side dishes such as smoked baked beans, two types of cole slaw, macaroni and cheese, and potato salad. Lockhart's is open every day of the week from 11 a.m. until their offerings are sold out, and the restaurant also sometimes offers daily specials including burnt ends on Thursdays and smoked prime rib on the weekends. Known for its mouth-watering ribs, Odom's Bar-B-Que is a family-run barbeque joint that can trace its beginnings all the way back to the 1930s. 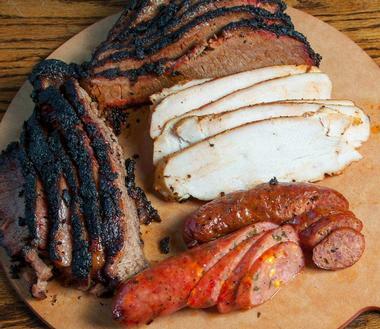 Meats can be ordered by the plate or by the pound, and the selection includes chicken, beef, ribs, smoked turkey legs, and Texas hot link sausage. Most meats are also available in the form of a sandwich, and baked potatoes, ranch beans, and potato salad are offered as side dishes. Guests can choose to either dine in or carry out, and Odom's is also proud to offer catering for events of every size. Off the Bone Barbeque is an intimate counter-service joint known for serving delicious gourmet barbecued meats. 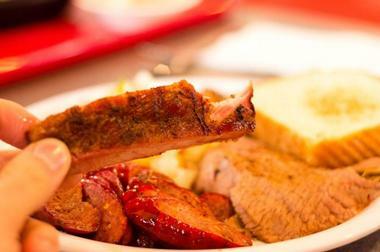 The restaurant offers free samples of its famous pecan-smoked baby back ribs, but other popular menu items include smoked brisket, pulled pork, sausage, and smoked chicken. Meats can be ordered by weight, as part of a combo plate, or in a hearty sandwich or Texan-style taco. Patrons can complement their meal by choosing from a variety of classic sides such as potato salad, coleslaw, and honey spiced baked beans. Cakes and cobblers are available for dessert; these can be purchased whole or by the slice. 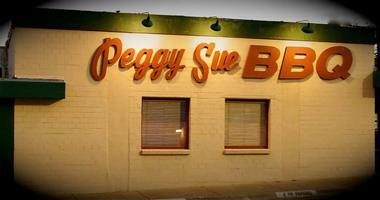 With its checkered tablecloths and 1950s-style decor, Peggy Sue BBQ offers an authentic down-home atmosphere and friendly service. 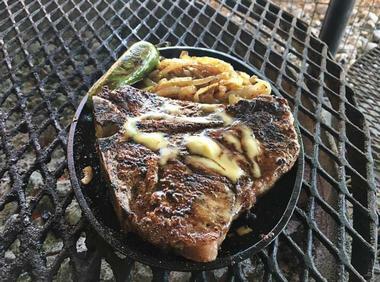 The menu begins with starters like Frito chili pie, brisket quesadillas, and fried jalapenos, but the barbecued meats are what the restaurant is known for. 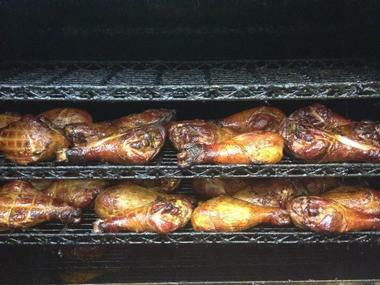 Guests can choose from options such as pulled pork, lean or fatty brisket, turkey breast, and Polish sausage. 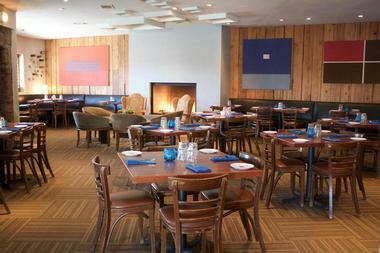 The restaurant is also suitable for vegetarians thanks to the salad bar and several meat-free menu options. Alcoholic beverages on offer include wine, beer, and cocktails, and several decadent varieties of fried pie are available for dessert. Established in 1969, Record's Barbecue is proud of both its delicious food and its commitment to supporting the community. Visitors can choose from a wide variety of barbecued meats such as ribs, sausage links, chopped beef, and chicken; sides include loaded baked potatoes and classic options like potato salad and baked beans. Cobblers, cakes, and pies are offered for dessert and can be purchased either whole or by the slice. The restaurant is also happy to cater to the late-night crowd; it's open every day of the week except for Monday between the hours of 10 a.m. and 3 a.m.
Sammy's Bar-B-Q is a charming country-style barbeque joint that is open for lunch every day of the week except Sundays. The barbequed meats on offer include brisket, ribs, pulled pork, sausage, and chicken; all meats are natural prime and are carefully smoked using hickory wood. Sides such as potato casserole, barbeque beans, spinach salad, and okra can be ordered in three different sizes, and the restaurant is proud to prepare all of the side dishes from scratch on a daily basis. The desserts are made from scratch as well, including brownies, lemon bars, and three types of pie. 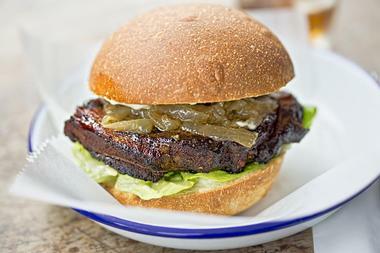 Located inside the Belmont Hotel, Smoke serves up gourmet barbeque with a creative, modern twist. The menu includes an excellent selection of appetizers, sides, and desserts, but the hearty barbeque plates composed of melt-in-your-mouth meats and sides are where the restaurant truly shines. A family-style barbeque board is available for groups of three or four people; it comes with six different meats as well as potato salad, cole slaw, pickles, and bread rolls. Happy hour is held at the bar every weekday between 3 p.m. and 7 p.m., and specials are offered on select appetizers, wines, and cocktails. First opened in 1985, Smokey Joe's BBQ is a community-minded barbeque joint that serves up good old-fashioned comfort food. The restaurant is best known for its pork spare ribs, baked potatoes, and decadent buttermilk pie, but there are plenty of other tantalizing menu items for diners to choose from as well. 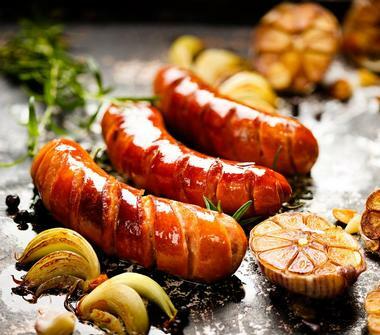 Meats include ribs, beef, sausage links, chicken, and short ends; these can be ordered in a sandwich, as part of a plate, by the half-pound, or by the pound. Half-price specials on select menu items are offered on Tuesdays and Thursdays between noon and 5 p.m.
Family owned and operated since 1976, Smokey John's Bar-B-Que & Home Cooking prides itself on offering Texas-size portions of homemade comfort food at reasonable prices. Choose from an excellent variety of hickory-smoked meats, including pork ribs, hot links, and beef brisket, and round your meal off with sides like macaroni and cheese, candied yams, and cornbread. 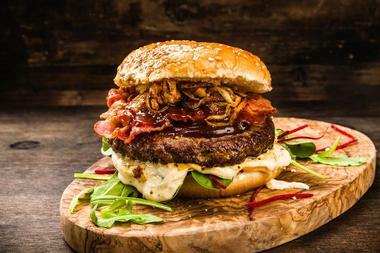 Other popular menu items include burgers, friend American catfish, and the decadent butter bomb cake. Vegetarians will be pleased to know that most side dishes are prepared without any meat products. The restaurant is open Monday through Saturday from 11 a.m. until 7 p.m. Founded in 1958, Sonny Bryan's Smokehouse has more than half a dozen locations scattered throughout the Dallas area. All locations serve up delicious barbequed meats and homemade side dishes, but the original location on Inwood Road is decorated with vintage desks and boasts a private dining room with a beautiful custom-made cedar bar. Meats including chopped or sliced brisket, pulled pork, pulled chicken, and ham can be ordered by the pound, in a sandwich, or as part of a combo plate. 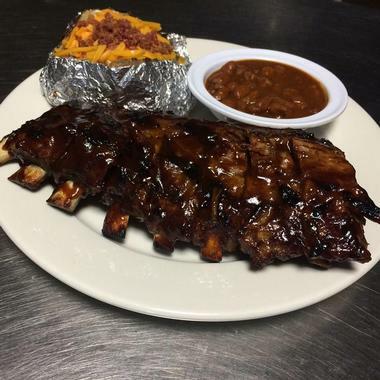 Online ordering is available for takeout, and lunch specials are offered every weekday until 4 p.m.
Soulmans Bar-B-Que is a popular chain restaurant that still prepares most of its food according to traditional family recipes. All of the meats are cooked over hickory, and guests can choose from a wide selection that includes beef brisket, ribs, hot links, pulled pork, sausage, turkey, and chicken. Family-style meal combos are available, but meats can also be ordered by the pound or as part of one of the restaurant's customizable barbeque plates. The menu also offers sandwiches, stuffed baked potatoes, a wide range of classic barbeque sides, a kid's menu, and two kinds of pie for dessert. 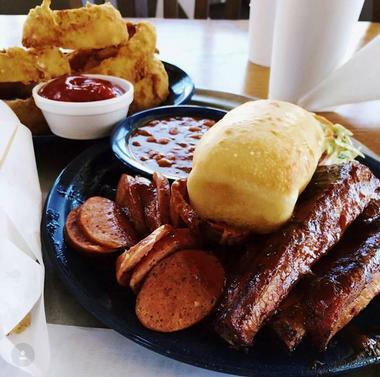 First opened in 1980, Spring Creek Barbeque is known by many as a proud Texas tradition. Available barbecued meats include Carolina-style pulled pork, brisket, ribs, chicken, and two types of sausage; these can be enjoyed in the restaurant as part of a dinner plate or ordered for take-out by the pound. The menu also offers several types of sandwiches, salads, desserts, and children's meals. Lunch specials are offered Monday through Friday between the hours of 11 a.m. and 2 p.m., and ready-to-serve takeout lunch and dinner packages can be ordered for groups of between 10 and 75 people. 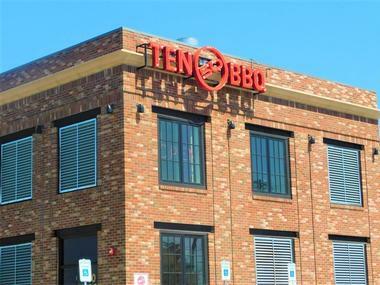 Unlike many of the other barbeque joints in Dallas, TEN50 BBQ offers authentic Central Texas-style food and service. The fires are kept burning 24 hours a day so that the restaurant's many varieties of meat can be smoked over charcoal made from hickory, oak, pecan and mesquite wood for between 12 and 16 hours. 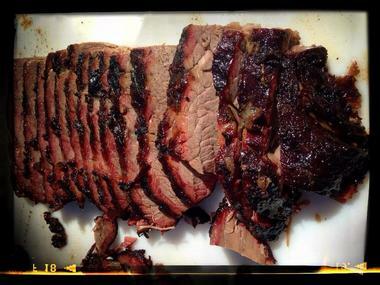 Diners can choose from smoked meats such as prime brisket. St. Louis pork ribs, pulled pork, and chicken or turkey breast. A good number of traditional barbeque sides are also offered, and other meal options include customizable sandwiches, loaded baked potatoes, and salads.